Today is the last day to file tax returns on time and Attorney General Ashley Moody is urging taxpayers to take precautions to avoid falling victim to tax-related identity theft and scams. 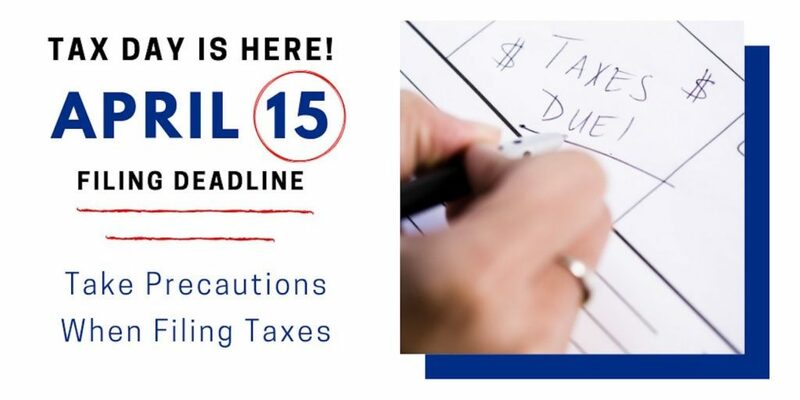 April 15 is the tax filing deadline for returns or requests for extensions to the Internal Revenue Service. Tax identity thieves will often prey on citizens who are in a hurry to meet the filing deadline and will target individuals up until the last minute. Thieves may call, email or text individuals to gain personal information, and may even pose as legitimate tax preparers trying to rush filers to access sensitive information under pressure. Know that the IRS will not call taxpayers and demand immediate payment using a specific payment method, such as a prepaid debit card, gift card or wire transfer. The IRS will not threaten to bring in local police, immigration officers or other law enforcement to have individuals arrested for not paying. Also, the IRS cannot revoke drivers’ licenses, business licenses or immigration status. Threats like these are common scam artist tactics when trying to trick victims.